Butcher and Freezer Paper are two of the most common used food service papers used throughout the restaurant and food service industry. Often they are confused and used in the wrong application. There are differences between the two, see below for what sets them apart. 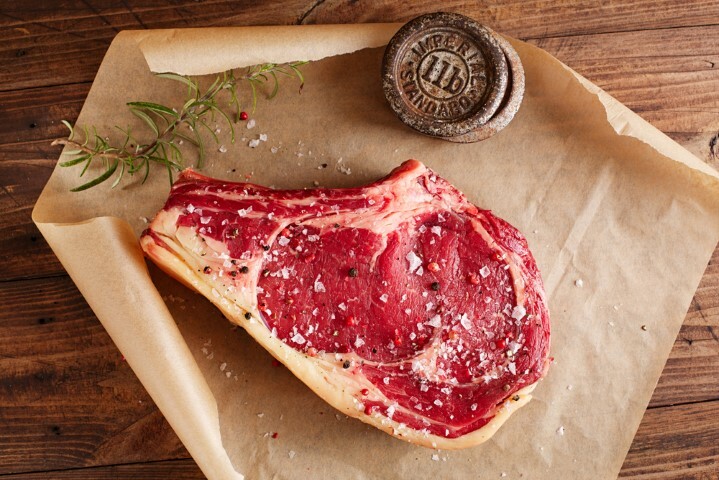 We can provide a total range of Butcher and Freezer paper offerings when working with you to define your project, all while giving you the option of having us hold Inventory for you. Below are some of our offerings and where they are commonly used. Please contact us for just a quick question or to discuss your new project - we are listening!! Typically a Kraft paper natural brown in color ranging in density/weight of 30# - 50#. Referred to as "Butcher Paper" due to the fact, in older times, the corner butcher shop would have these rolls behind the counter to wrap up fresh meat for customers. It is inexpensive, it comes in standard widths and lengths and at Cheever we can custom slit to your width or custom length. Also we can provide this in specific sheet sizes if needed. Also available is FDA approved "white" uncoated butcher paper - think sandwich sub wrap. The big difference with Freezer paper - it is Poly coated on one side. It starts out very similar to Butcher paper, but by having this Poly coat on side it provides a vapor and moisture barrier that is a perfect hold out for grease and liquids. Available in density/weight of 30# - 50#. It comes in a standard width of 24 inches, but we can provide custom widths and lengths if needed. Also we can provide this in specific sheet sizes if needed. Freezer paper is perfect for wrapping meats, large burritos and juicy or hot dripping sandwiches. Great for lining baskets of fried onion rings or French fries. Will also work great in freezing meats, fish and poultry as it works to hold the flavor during freezing. Any food item that tends to be messy is a great match for Freezer paper. Butcher paper works best with dry foods. Cold sandwich's like turkey and ham, or pita sandwich are a good fit here. Also often used for linen's on restaurant tables. Used often in primary education where it is used for arts and crafts such as hanging artwork. Used as posters and signage and large width banners. Wrapping paper for gifts or box wrapping. Packaging of fine china, glass and other fragile items for transport. This replaces newspaper due to the ink could transfer or rub off on to the items being packaged. Manufacturers of bearings, steel or products that are suspect to rusting, will use Butcher paper to interleave between their products. This is due to the products will have a light coating of grease or oil that is used to protect from oxidation and rusting during shipping.